But today, I’m not playing around. 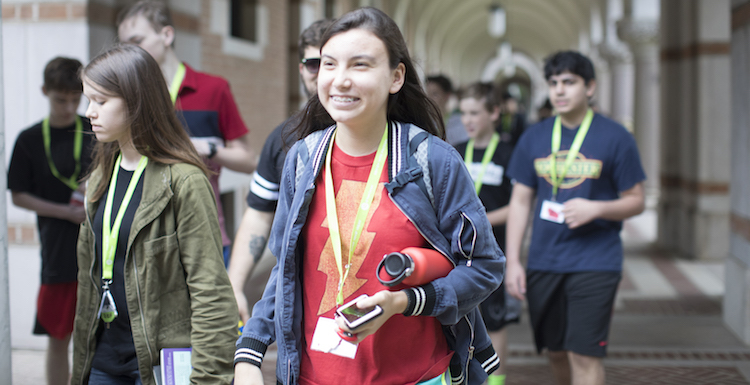 Here are 102 questions that you can (and should) ask yourself, potential camps, and acquaintances when choosing a summer program. Scan at your leisure or use the links below to jump to your section of choice. Some of these questions will be more applicable to you than others—we all have our hot-button and make-or-break issues! And, these are straightforward questions you have every right to ask. There are some fairly unique camp questions you'll also want to consider, but that's for another time. If I missed anything, please take to the comments and let me know. I’m certain I have everything covered, so I dare you to prove otherwise. Once you've found your perfect camp, check out our tips on making the most of the summer experience. 1. How long has the camp been in business? Even the best camps started at year one, so I'm not advising you to stay away from camps that haven't been around for 10+ summers. That said, you'll probably have to put in more time and effort to really ensure that the "new" camp is one you can trust. I put this question first for a reason. 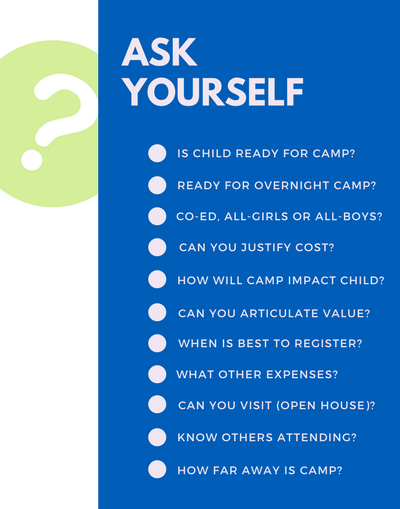 Is it necessary to ask your prospective camp each of these 102 questions? No. But if the camp is relatively new, you'll want to investigate more thoroughly than you would a camp that has been around for a while. 2. How many campers attend each summer? 3. What is the camp's camper return rate? What is a good answer for this question? It depends on the camp. A summer program specializing in gap-year activities will obviously have a return rate of 0%, while an adventure camp for kids might have one over 50%. When you ask this question of your prospective camp, also ask yourself, does this percentage make sense given the type of camp, cost of camp, camp attendees, etc. 4. Is the camp a part of the American Camp Association? Do they follow ACA guidelines? "The main purpose of the ACA-accreditation program is to educate camp owners and directors in the administration of key aspects of camp operation, particularly those related to program quality and the health and safety of campers and staff. The standards establish guidelines for needed policies, procedures, and practices. The camp, then, is responsible for ongoing implementation of these policies." Camps accredited by the ACA are more likely to follow these established guidelines. However, some camps aren't eligible for accreditation for whatever reason, but might still follow ACA standards and guidelines. 5. Where is camp physically held? Is camp held at someone's house? A local park or school? Mostly university campuses? As you can imagine, each atmosphere will offer a different type of experience. 6. What is the background and experience of camp directors? If you're looking for an academic camp, it's probably important that the camp directors have a background in education. Likewise, if looking for a baseball camp, you'll probably want a camp that's run by baseball professionals. It's up to you to determine what level of "professional" is passable. For some, a high school baseball coach would be acceptable. Others might find that only a former major league baseball player can be a worthy teacher. 7. What do the reviews on Yelp, Facebook, and elsewhere say about the camp? This is a tough one, because I think we can all agree that unhappy customers are much more likely to post a review than someone who had a wonderful experience—especially with a service like summer camps. So, yes, it's important to check out the camp's online reputation on review sites, but do so with a grain of salt, and try to diversify your sources. Some sites are highly regulated, keeping good reviews hidden, while others are more lenient and present all reviews (which also means some of those reviews might not be legitimate). 8. Why was the camp started in the first place? 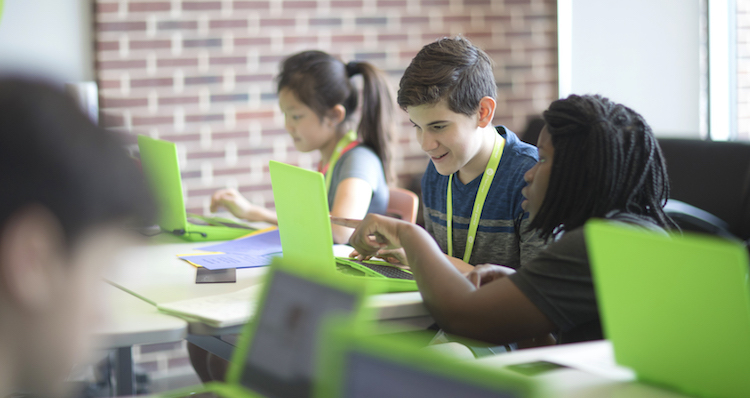 Maybe it's just to offer a fun summer experience, or maybe the camp started to give students a valuable academic experience where they can learn coding and other STEM skills necessary to take on jobs of the future (sound familiar?). Either way, the right answer is the one that matches what you want to get out of camp. If the music camp you've been eyeing was started because a local music store had a bunch of extra trombones laying around, that's not really a great answer. 9. How trustworthy is the camp website? Oftentimes, you can tell how committed a camp is to their craft by how much care they put into their materials and branding. A camp that neglects to update their website with correct info, or has a site that contains spelling and grammar mistakes, might indicate that operators don't care enough about maintaining a valuable website. This begs the follow-up question, how is the camp handling other important details? 10. What makes the camp different? If you're searching for a camp, you might be considering at least 3-5 different options, which at face value all appear to be similar. So, if you aren't really sure what sets them apart, ask. The camp itself will be the first one to tell you why they're better than the next. Compare answers to help you decide which camp your child will attend. 11. Is the camp active on social media? Active can mean a lot of things, but in this sense, it's important to note whether a camp actively posts pictures from camps, answers parent questions, and engages with the local community. As a parent, it should give you an extra sense of calm knowing that the camp is real and tangible, and is one that other campers and parents have enjoyed. If a camp comes up short in this regard, you need to give that some consideration. 12. Can the camp provide parent references? The Great Schools staff recommends asking for contact info of parents with kids the same age as yours who have previously attended camp, and I agree. Just know, most references provided will probably be those who had a positive experience. Even so, there are probably certain areas of camp they felt could have been better, so use this as an opportunity to get a detailed account of what camp is really like. 13. 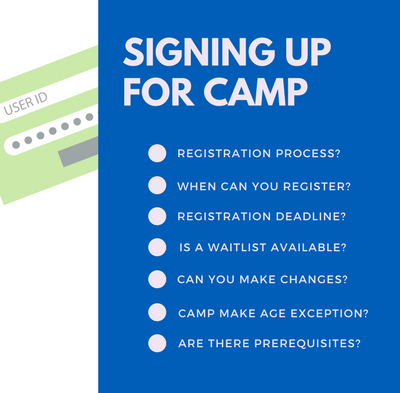 What is the camp's registration process like? I'm not saying that the camp registration process must be long and involved in order for the camp to be determined as a good one. But, if registration only asks for parent and student names and one form of contact (while not worrying about asking of allergies, emergency contacts, etc.) that should raise a red flag. 14. When can you register or sign up for camp? If you're a bit of a summer planning procrastinator, you've probably found that whenever you're ready to sign up for camp, you're able to. That's fine. However, if you plan ahead in an attempt to beat the rush and secure larger savings, you'll want to ask when camps first starting taking registrations. Some start as early as November (and it's beneficial for you to register as early as possible). 15. What is the last day to register or sign up? 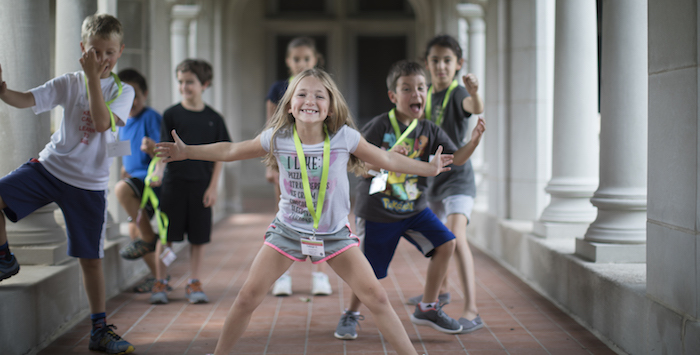 If you're more than "a bit" of a summer planning procrastinator, and usually don't look to sign up for camp until summer has already begun, you'll want to see just how long you can wait before enrolling. You might need to enroll a week prior to the start of the session, or maybe you can sign up the morning it starts! 16. Does the camp have a waitlist? You signed up for camp too late, and now things are sold out. Ask if there is a waitlist you can join, and also ask how it works (first come, first served, etc.). 17. Once you register for camp, can you make a change? This is an important one. You want to plan ahead to secure your first choices in camp locations and dates, but at the same time, you'd like the flexibility to make changes (and, it would be even better if you could do so without incurring financial penalty). 18. Can the camp make an age exception? Many camps segment their camps by ages for good reason, but if you feel your student would get more value out of a session beyond their age range, it never hurts to ask if you have the ability to do so. 19. Are there prerequisites to enrollment? If you don't know there are prerequisites to enrollment, you won't get very far. Meaning, you probably won't get very far in the enrollment process because you might have to prove proficiency. Or, your student might not get very far at camp because they're lacking the required skills. Ask this question up front, while you're still comparing courses and topics, to ensure you choose a camp where your child will excel. 20. Does the camp offer financial aid or scholarships? Many camps do offer financial aid or scholarship opportunities. So, a better question might be when can you apply and how you can give yourself the best chance of being selected? 21. Is there a discount for referring friends? 22. Does the camp offer promotions throughout the year? Ask about savings opportunities as soon as you can. Usually, the earlier you sign up, the more you can save. 23. Is there a multi-week discount? You're on the fence about just how many camp sessions you want to enroll in. Ask if there is any sort of discount for enrolling in more than one session. 24. Is there a sibling discount? The savings gained from sending a sibling to camp might help offset registration costs. 25. Can I pay for camp in installments? If it's a pricier camp, you might have the option to pay for camps in installments. If you can't afford to pay for the camp up front, see if there are other options, like putting down a deposit to reserve the space, and then paying the balance at a later date. 26. Can I register now and then add camp options at a later date? Sometimes you just need to get your child signed up under deadline and want to worry about "other" items later. Can you do so? 27. Do you accept outside grants or scholarships? Some camps allow you to secure and use funding from a third-party organization to pay for camp. You'll usually need a letter of intent to pay, and some other details. 28. What are the student to staff ratios? This is an easy one. Would you rather send your son or daughter to a camp that has 30 campers per instructor, or one that that boasts 5-10 students per instructor? When asking about student-to-instructor ratios, ask whether these rates are guaranteed or simply averages from past season. While some camps claim to have an uber-small student-to-instructor ratio, they don't ensure these numbers across all programs. 29. What do the pick-up and drop-off processes look like? You're a busy parent. You most likely want a camp that understands that, and thus, makes dropping off and picking up your camper as easy as possible. BUT, not so easy that just any person can walk up and check out your child without any type of structure or security protocol. 30. Is camp in session on the 4th of July? This is a sneaky one that you might not think about until it is too late. If you sign up for camp the week of July 4th, ask to make sure camp is actually being held on the 4th. Otherwise, you'll need to make alternative arrangements. 31. Can kids call home when they want? Another question that doesn't really have a right or wrong answer, and more depends on the intended experience. 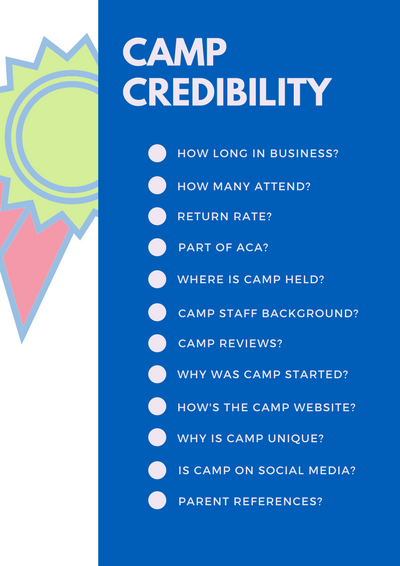 If you're the type of parent that needs constant and immediate check-ins, you'll want to make sure your prospective camp allows for that. Can and should students bring their phones to camp? Will they get in trouble if they use them? 33. What should your son or daughter bring with them to camp? If your daughter is attending a sports camp, does she need to bring her own equipment? If your son is attending overnight camp, does he need to bring his own bedding? Determine what is provided and what must be brought as early as possible. 34. Is the camp director available by phone at all times? Even if you never intend on calling your camp director, it's always nice knowing they are available, just in case. 35. Is transportation provided to and from camp? This is more important to some families than others, so if you are the important category, make sure to check beforehand. Be sure to ask about carpooling opportunities as well! 36. Will the camp be transporting kids to and from the camp location and another site? Do you know whether or not there will be "field trips" as part of the camp experience? Are you okay with your son or daughter being transported by another, and, are you okay with your child being somewhere other than the designated camp location? 37. What is the policy about food packages, letters from home, and so forth? 38. Can my camper make her own hours in order to attend other activities? It's rare for students to have a week free of any obligation whatsoever. So, you've probably squeezed in camp at the best available option, but still have a couple of other engagements your child must attend. Ask this question to be sure your child can freely leave to attend those engagements. 39. 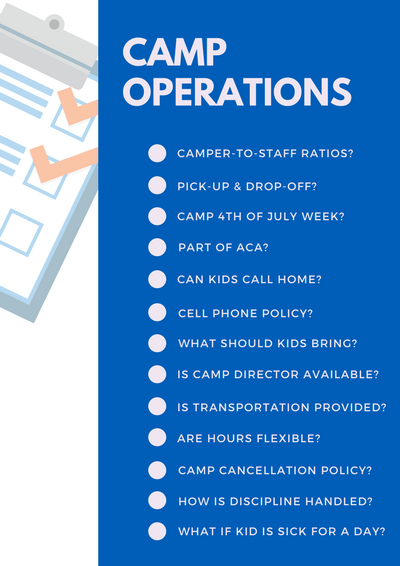 What is the camp's cancellation policy? An important one, and a question that you'd probably ask anyway. Be sure you know important cancellation deadlines, the percent of any financial commitment that is returnable, etc. 40. Does the camp offer insurance? Unexpected life events are unavoidable. In the event that camp must be canceled past the stated deadline, or if property was damaged, a child was injured, etc., does the camp assist with those costs? Most likely, the camp doesn't offer insurance, but ask if they can refer you to an organization who can insure your child's stay at camp. 41. How does the camp handle discipline? If your child is acting out, how will they be handled? Time out? Expulsion? It's important to not only know how your child will be disciplined, but how disagreement or issues between other campers are handled. 42. How does the camp handle camper vs. camper conflict? Per the above, what happens if your child is having trouble with another student? How will parents be notified of these conflicts? 43. How can I keep track of my child's progress? If your child is at a camp where they'll be learning new skills, you'll probably want to track their progress. If you can't track progress during camp, you'll definitely want to know what they learned and achieved during their session. Ask about this ahead of time, and be sure the camp's answer aligns with your needs. 44. What if your child is sick for a day? If your child has to miss a day to sickness, does it make sense for them to continue on with the rest of camp? Is there any way they can make up for time lost? Will you get a refund for the time missed? It's always best to know these things before attending camp. 45. What kind of camper is most likely to have a good experience at this camp? This is a good question to really understand if you are sending your child to the right camp. 46. Does the camp offer a balanced experience? 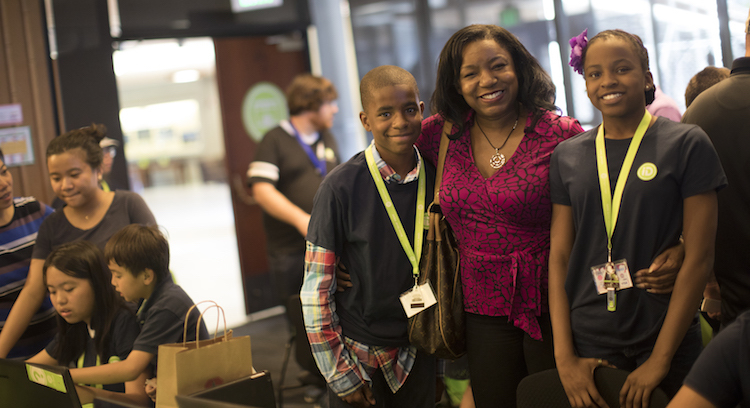 If you're sending your child to camp for computer training, will they be spending all day at the computer? If so, is that a bad thing? If not, is that a bad thing? 47. What does a typical day at camp look like? Will students be spending all day on a certain activity? If your son is attending a basketball camp, will his day be full of on-court activities like practicing free throws and 3-pointers? Or, will his day contain a balance of all basketball activities, including some off-the-court time spent learning strategy? 48. What does a typical week of camp look like? What does a week look like? 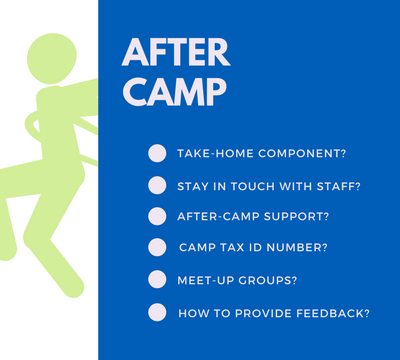 What should your student leave camp knowing? 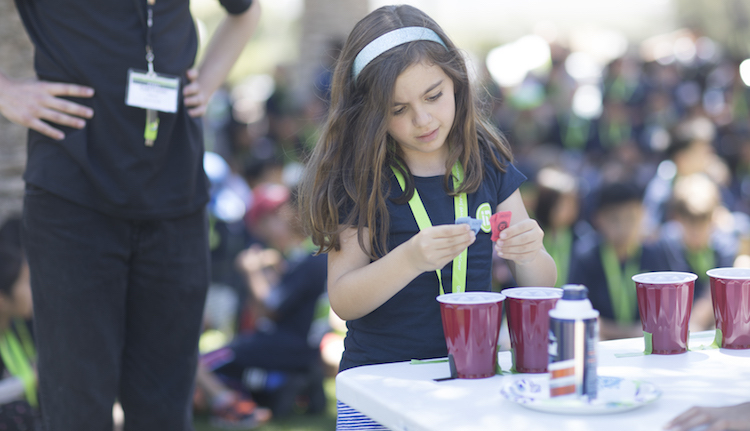 Is one week of camp enough to satisfy your student's needs? 49. Can your student receive school credit for camp activities? Depending on the type of program, maybe your student can earn school credits for completed activities. Or, maybe camp can help satisfy a scout badge or other extracurricular achievement. 50. What is the pace of the day? This has a lot to do with the questions above, but just a different way of asking. Some camps will be fast-paced, pedal to the metal, learn, learn, LEARN. Others might emphasize personal growth and include fewer organized activities. 51. Is there the opportunity for free time? You know your student needs breaks during the day. And, not just 15-20 minute stretching and bathroom breaks, but hour blocks of free-time to clear their mind or shift gears. Find a camp that works best with your child's routine. 52. Can students progress at their own pace? Sometimes camp pace is dictated by the camp itself, with set schedules and curriculum. Other times, campers can set their own pace, advancing based on their skill level and understanding of the material. 53. Is the camp focused on fun or skill-building? Not all golf camps were created equal. Not all wilderness camps are in place for students to simply have fun. Yes, fun is an important aspect of camp, but is that enough, or do you really want the main focus to be on making your child a better golfer or building up their survival skills? 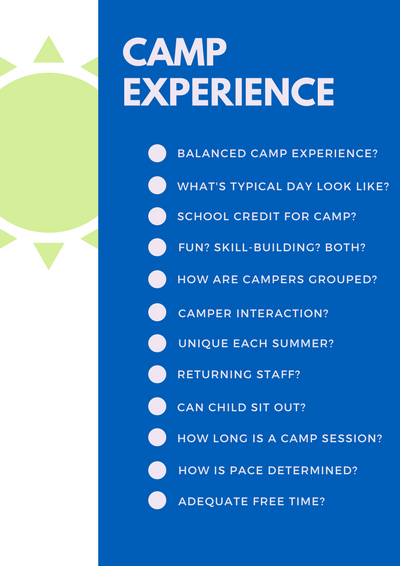 What sort of experience do you want your child to have at camp? 54. How are children grouped together? Meaning, are children at camp with kids of their age group? Skill level? Boys with girls? Is there a girls-only camp option? Are all students lumped together? 55. How much camper-to-camper interaction will there be? Maybe one of your summer goals is to build your child's life skills. You'll want to know how much group or team work will be involved, or whether the majority of time will be spent with campers working individually. 56. If choosing an academic camp, is there physical activity involved? Will students be inside all day? Are they able to get up, go outside, and also enjoy physical activity? Or, is the physical activity component more than what your child feels comfortable with? 57. Your child attended camp last year. Will it be the same experience? Your son or daughter loved camp last year and wants to return, but other than it being fun, will it still be valuable? 58. Is my student's favorite instructor returning? I've definitely heard of some parents making the decision to return to camp based on whether or not their favorite instructor or staff member will be returning. Makes sense. 59. What if my child doesn't want to participate in camp activities? Honestly, I'd say do as much research you can up front to ensure your child does want to participate in camp activities. Not that you're going to get penalized if your child doesn't participate, but he or she might be missing out on key camp components, and will end up with an incomplete experience. 60. How long are summer camps? Summer camp length varies greatly. Many camps may run almost the "entire" summer, or 10 weeks, with some lasting 4-8 weeks. Other summer camps could be as short as one or two weeks. Really, the session length should be obvious when you're signing up for camp. What you'll really want to know is, if there are different length options presented at the same camp, what is benefit of a longer commitment? Meaning, if the program you're eyeing offers a weeklong session and a two-week option, what's the difference? And, could you take back to back weeklong sessions, etc.? 61. How does the camp recruit staff? Does the camp respond to any person with any background who responds to their Craigslist ad? Or do they hand-pick instructors from the field of study that's related to the camp? What qualities do they look for when they're staffing their camps? 62. What is the staff return rate? Meaning, is there a lot of staff turnover summer to summer? I wouldn't say an answer of "no" is a major red flag, but there are many benefits stemming from an answer of "yes." 63. 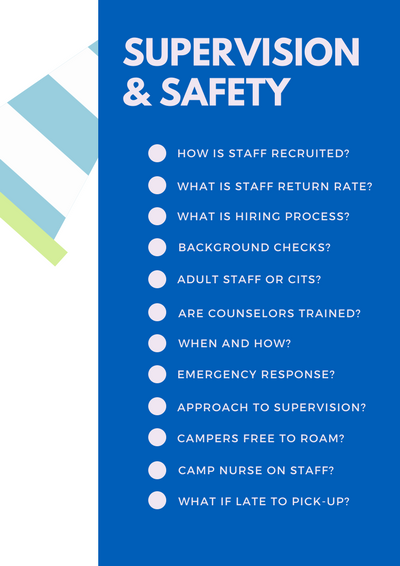 What is the camp hiring process like? Make sure camps are finding their instructors in reputable ways. 64. What kind of background checks are performed before staff is hired? One of your top priorities, and the priority of any good summer camp, is to ensure the safety of your child. By ensuring staff have clean background checks, camps are decreasing the risk of anything negative happening with your child. Criminal background checks, sexual offender checks, and following up with personal or professional references are all activities you should demand your final camp choice perform. 65. Does the camp director have relevant experience? Does your archery camp director have the required archery experience? Odds are all archery camp directors have archery experience, the question is, how much, and is it relevant? 66. Are counselors adults or teens in a counselor-in-training (CIT) program? Some camps employ counselors-in-training, meaning, teens are serving as summer camp staff members for leadership experience, primarily. Other camps employ all-adult rosters who are paid professionals, who will instruct and supervise with the goal of being a mentor to your child. 67. Are counselors trained or do they just show up to camp the first day? It's probably comforting to know that the staff at your selected summer camp has been trained. I'm not just talking about trained on day-to-day activities, but risk management, safety, and other must-haves. 68. How is the staff trained? We all have different definitions of training, with some camps being more thorough than others. Ask for specifics. 69. What is the camp's emergency response process? Things happen, and they can't be predicted. But camps can prepare for how they will handle these situations, when they arise. Every worthwhile camp should have an emergency response plan. You'll want to know what that plan is, mostly to ensure that the camp you're dealing with is credible. 70. What is the camp's approach to supervision? Again, it's not whether are children "supervised" per se. Ever camp will say that students are supervised to some degree. You'll want to know the specific approach to supervision, especially when sending a teen to camp, as they tend to get more freedom than younger campers. 71. Will campers be relegated to general areas or free to roam? Part of the value of the camp experience might stem from the actual camp location. For instance, camp held on a college campus isn't valuable if student's aren't able to explore university grounds a bit. So, ask about just how many and which areas students will have access to (swimming pools, sports fields, dorms, buildings, etc.). 72. Is there a camp nurse in attendance? I don't have to remind you that we are talking about kids here. Someone will get hurt, inevitably. Even if it's just a scratch that needs to be cleaned, it's comforting to know whether or not there is an actual appointed nurse around to handle that. 73. What should your child do if they are being bullied or harmed? Unfortunately, bullying happens everywhere from the schoolyard to summer camp. Discuss this with your camp provider to make sure both you and your child know how to react to a potential bullying situation. 74. What if you are late to pick up your child? If something comes up and you aren't able to pick up your child in time, will camp staff wait a few minutes? For how long? Will they leave your daughter on her own? 75. Is food brought in or prepared on site? For most of you, this might not make a difference. Some children have more restrictive diets than others, and that goes for both the actual food being prepared, and how it is being prepared. 76. Are eating facilities sanitary? This is a tough one. It's something you'll want to know, but it's also a question that probably won't get an answer with much detail, and probably not anything other than "yes." So, think of different ways of uncovering the information. Where will students be eating, what measures are taken to ensure that conditions are sanitary, etc. There are summer camp staples, like pizza, that can be attained in mass quantities at relatively lower prices. Thus, many camps opt for pizza at least some of the time. So, you probably don't want to ask if kids are going to be fed pizza, but rather, if meals will be balanced and/or if students will have options from which to choose. 78. Are meals included in the cost of camp? Many times meals aren't included in the cost of camp. When weighing the cost and benefits of one camp versus another, you'll want to check on how much food is provided. 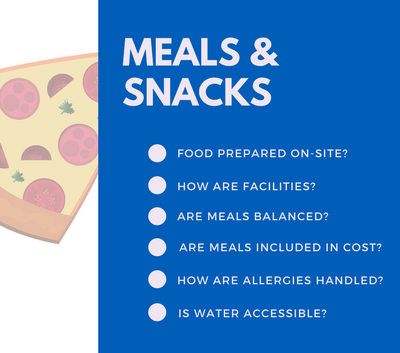 If meals aren't included, ask if you must purchase a meal plan or if you can send your child with food. 79. How does the camp handle food allergies and medication? Some students have serious conditions that must be attended to on a daily basis. Ask for great detail when it comes to something as serious as managing allergies and medication. 80. Will water be accessible? Such a basic need, it seems silly to have to ask. I guess it's not really will water be accessible, but will camp staff be attentive to water consumption and be sure campers are drinking enough water. 81. Are sleeping spaces comfortable? Chances are your camper won't be sleeping on king-sized beds with high-thread-count sheets made from Egyptian cotton, but most sleeping spaces are reasonably comfortable. Find out where your child will be sleeping ahead of time, that way you can have realistic expectations and improve small problems before they arise. 82. How much time is allocated to sleeping? Part of the fun of summer camp is campers getting the chance to be independent. Staying up late might be one of those things that you are okay with, but even so, you want to make sure there is at least some structure around lights-out time. 83. Can students request a roommate? Another fun aspect of camp is being able to attend with a friend. (That said, there is a lot of value in showing up somewhere unknown without a familiar face in sight.) Ask your camp if you are able to request a roommate for your student. 84. What can you do if your child doesn't like their assigned roommate? You don't want to go into camp with negative thoughts, but the more you know, the better. With questions like this, just assume anything that could go wrong will go wrong, and ensure you have the answer and are ready if it happens. 85. Is your child ready to spend a week at camp? A week at camp might not seem like a big deal for your child, but take a step back to imagine your son or daughter in a brand new environment without parental supervision. Does the thought scare you a bit? If so, figure out why and determine if the feeling is warranted. If they are ready in terms of maturity, then choose a camp that matches their abilities and skill level. For example, your beginner ballerina won't have a good experience attending a ballet camp that's made for advanced students. 86. 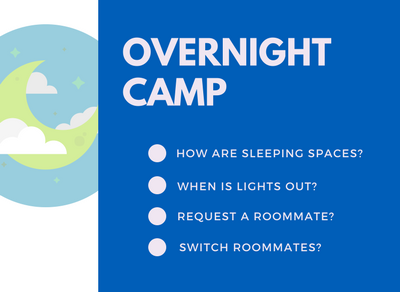 Is your child ready for overnight camp? 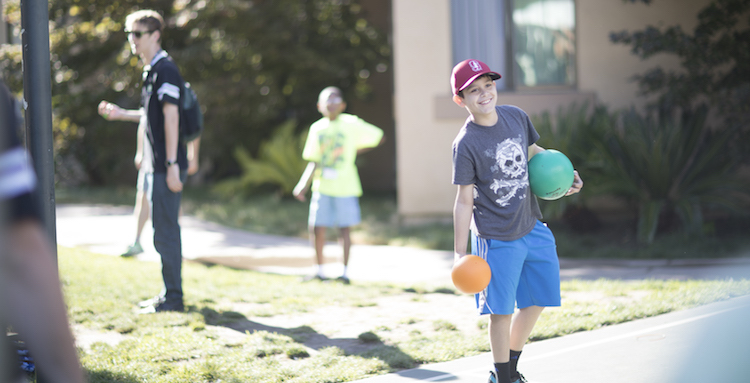 Overnight camps can make a huge impact on your child's self-esteem and confidence—if they're ready for the experience. Kids who have a hard time spending nights away from home might need extra support to stay away for a week or more. Your prospective camp should be able to give you a good understanding of what types of personalities do well staying overnight, along with some tips to make for the best outcomes. 87. Should you send your child to coed camp or an all-girls or all-boys option? Gender-specific camps have their benefits, as do co-ed camps. Removing gender from the equation can often help students make deeper connections with their peers. If the opposite gender is a distraction or prevents your child from getting the most out of camp, consider an all-girls or all-boys option. 88. Can you justify the amount spent on camp? 89. How will this camp make your son or daughter a better person? I'm completely on-board with parents who simply want to send their kids to camp so they have fun. It's summer, and that's the name of the game. But, how much is "fun" worth to you? When camp is over, will your son or daughter be a better person? How? See below. 90. Can you clearly articulate the value of attending? Regarding the above, you might be tempted to say, well, my daughter is going to this amazing basketball camp, so, she's going to come out of camp being a better basketball player. One, it's a little general. In what aspect of playing the game will your daughter be better? Does that camp specialize in one area over another, whether it is offense, defense, rebounding, etc.? And two, no matter how much we love our kids and think they are equipped for success in any interest of choosing, sometimes it just doesn't happen. As mentioned previously, make sure your choice of camp is matching up with child's skill level. 91. When is the best time for you to register? I'll answer this one for you. Early. You'll want to register early for camp for a number of reasons. 92. What other expenses are involved? 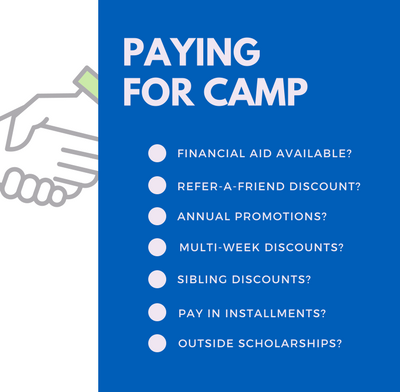 We've already gone over most camp costs, but think about things like opportunity costs, or maybe "expenses" involved in having your child at camp for a week. What are you giving up to send them to camp? What else are they missing out on? 93. Can you visit the camp beforehand? This matters more for some camps than others. If you're attending a soccer camp held at a local high school, you can probably visit anytime. Yet due to the seasonal nature of summer camp, many don't provide pre-camp visits. If it's important for you to visit a camp beforehand and are unable to, consider what you were hoping to learn by seeing the location itself. Are there other ways to get this information? Could you ask former staff to describe the space? Are there pictures online that show what the location will look like? 94. What do other parents with kids who have attended the camp say about it? Even if they aren't close, personal friends, if you can find someone at your child's school or elsewhere who has attended camp before, that's one of the best resources you can use in your summer camp search. 95. Do you know other students attending? While it's great to be able to talk to someone else who has experienced camp, you'll want to know of others who are attending the same camp in order to take advantage of any type of refer-a-friend savings. For some children, especially those who are shy, it can be comforting to know that there will be familiar faces on the first day of camp! 96. How far away is camp? Can I manage to drop-off and pick-up each day? Sometimes you get so wrapped up in finding the perfect camp that you fail to fully realize just how hard transportation will be to and from camp. Plot out your route (or drive it on an off-day) to make sure it's doable. 97. Is there a take-home component once camp ends? For volleyball camp, maybe your child gets a DVD of their recorded spikes or volleys, along with a detailed analysis breaking down their positioning. 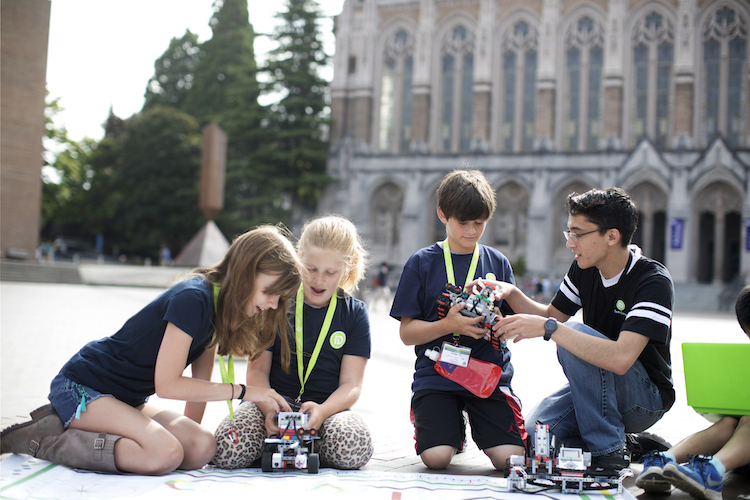 Or, if it's a robotics camp, maybe there is a lesson plan they can use to keep learning after camp has ended. If there is a take-home component, that might extend the value of one camp choice over another. 98. Can kids stay in touch with their counselor after camp? A big benefit of summer camp is relationship-building, whether it be peer-to-peer interaction or camper-to-instructor interaction. Most camps have post-camp policies about staying in touch with former counselors. 99. What kind of after-camp support is in place? Can kids contact their coaches or camp instructors after camp if they need to? What if they built a video game at camp and can't get it to work on their home machine? 100. What is your camp's tax ID number? Did you know summer camp can be tax deductible? Ask for that tax ID number. 101. Are there meet-ups for groups of students to get together? Does the camp have an alumni group or host meetups where students can stay in touch? If not, are there other ways for students to stay in touch with camp friends long after summer? 102. What is the best way to pass along feedback? Camps love to hear your feedback, one, so they can learn about your experience and pinpoint future changes, but two, because your feedback helps other parents make a decision. Ask your camp how they prefer you leave feedback, whether it's Yelp or elsewhere. Let Us Answer Your 102 Questions! So, there you go, 102 questions. If you think of anything not covered here, please let us know in the comments. 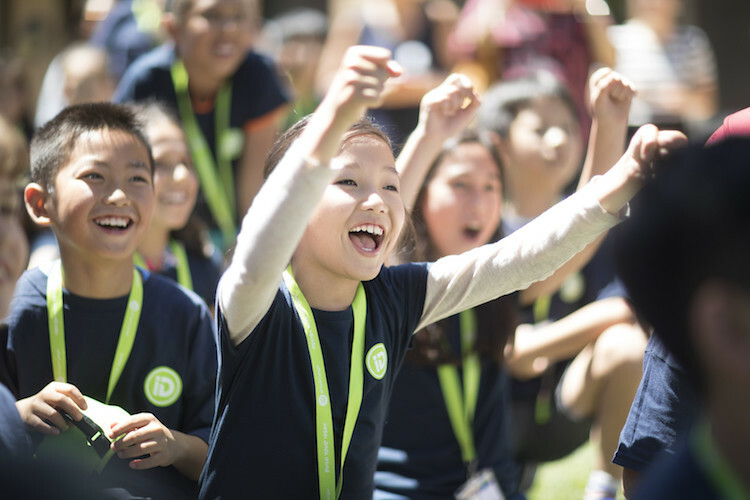 Of course, if you have any questions about any iD Tech offering (Weeklong programs at iD Tech Camps, 2-Week iD Tech Academies, or Alexa Café, our all-girls program), our Camp Specialists would love to help you out and show you why we remain the #1 STEM summer camp on the planet. Otherwise, find the location that's nearest to you via our Location Finder tool.